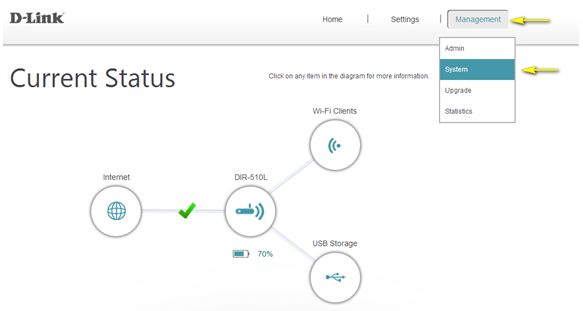 How to back up the D-Link DIR-510 router’s configuration to my computer? Step 3: Move cursor to the Management tab and then click System. 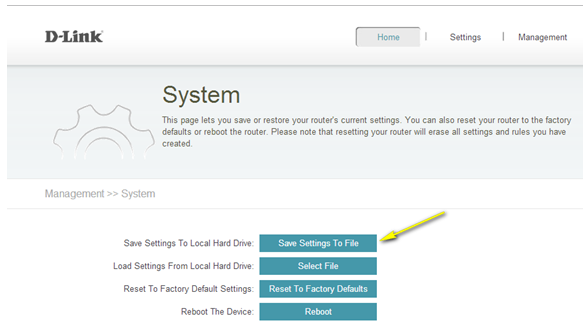 Step 4: Click Save the Settings To File. Note: Depending on your browser, a ‘File Download’ dialog may appear, allowing you to select a location and file name for the settings file. The file may also be automatically saved to your default ‘Downloads’ folder.